Thousands of disadvantaged children in Leeds are languishing behind their peers in basic numeracy and literacy, new figures reveal. Youngsters from poorer families are EIGHT per cent behind the national target for reading, writing and maths at age 11. Last year, 31 per cent of children in Leeds who come from poorer backgrounds achieved the target. The national figure was 39 per cent. The ‘three Rs’ figure for children from more affluent backgrounds was a little better at 58 per cent, but still behind the national achievement rate of 61 per cent. The story is similar for GCSE attainment, with Leeds youngsters from more deprived backgrounds falling a full four per cent behind the national average for A* to C grades. However those from better off homes were almost on a par with the national average, 69 per cent against 70 per cent. The whole testing regime disadvantages children who are already disadvantaged. The city’s educational achievement gap is laid bare in a comprehensive new report to Leeds council decision-makers, which will be debated next week. The report also notes the per-pupil funding disparity between Leeds and London, with one borough receiving £2,500 MORE than Leeds for every child. Council bosses admit they are facing “turbulence and uncertainty in the educational landscape”, and they warn this could lead to “potential pressure that could impact education standards in the future”. At next week’s monthly cabinet meeting, senior Leeds councillors will be invited to debate an expansive paper laying out the city’s current “challenges” and how to “mitigate” them. But they are warned that they have a “fight” on their hands. The report notes that while Leeds children from “non-disadvantaged backgrounds” achieve “generally close to or in line with similar children nationally”, the picture is a lot starker for poorer children. “For children and young people from what is termed disadvantaged backgrounds, Leeds results are often several percentage points below their peers. This pattern is also seen in a number of other Yorkshire & Humber authorities, and it is a regional issue,” it says. The country’s biggest teaching union today hit out at the increasing “exam factory” approach to schooling which it believes has been a major factor in widening the achievement gap in Leeds and other Northern cities. Its head believes that increased and unfair testing – combined with a changing population demographic and a funding system disproportionately skewed towards London – is key to the problem. Anne Swift, president of the National Union of Teachers, told the Yorkshire Evening Post there were “some really excellent schools in Leeds”. But last year’s testing at age 11 had made things “very difficult” for both pupils and teachers. “Tests were such that even the reading paper demanded a high level of written English and a good grasp of grammar,” she explained. “Teachers work their socks off, but were in despair because after the first few questions, some children would have given up. “The whole testing regime disadvantages children who are already disadvantaged. “Schools must live or die by results and have to follow a narrow curriculum. And lots of children are not getting access to the full range of curriculum experiences”. She added that Leeds schools are “considerably worse funded than those in London”. 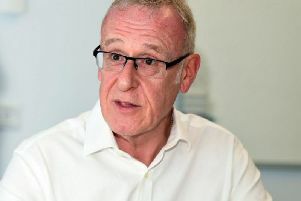 Steve Walker, Leeds City Council’s director of children’s services, told the YEP there were “complexities around changes in the educational landscape” facing both Leeds and other local authorities. He said the city was “absolutely focused” on identifying and supporting vulnerable learners, but admitted that issues like funding and changing demographics were major factors. He said the city had been “very successful in maintaining a very strong community of schools” and pointed out that 93 per cent of Leeds’s primary schools are rated ‘good’, and 87 per cent of secondary pupils are in a school which is ‘good’ or ‘outstanding’. But he acknowledged the city is having to work extra hard to tackle inequalities. He noted the number of children living in poverty has “increased quite significantly” (to 28,000 according to latest figures). The proportion of Leeds pupils with English as a second language had also risen from 13 per cent to 16 per cent, he said.